The pressure keeps building on the New York market for new technology to dramatically reshape the for-hire-vehicle industry. Hailo is moving from the east (London) with a taxi driver app at its core. 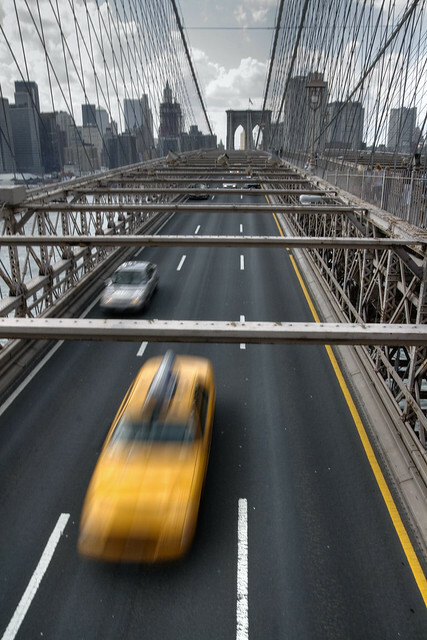 It’s going to be an exciting year for the taxi industry here in New York City. Yellow cabs sued when the outer borough cab was proposed, and livery cabs are suing the city now that e-hailing testing is about to begin. Shenanigans as usual here in New York City. If you don’t live in New York, why should any of this matter? The legal/economic conflict is emblematic of the promise and threat of tech at large. Really: the increasing friction between mobile technology and real-world regulation (and the structure of real-world markets) is nowhere quite as visible as it is in the for-hire-vehicle (taxis, limos and livery cars) industry. In other industries, e-commerce only threatens to cut out an inefficient middleman, but with taxis (and their ilk) mobile tech has the potential to reshuffle the entire industry - not just the middlemen. Traditional distinctions between “medallion” cabs that can take street hails (and use an old-fashioned meter) and “livery cars” that can only take telephone orders and must quote standard (inelastic) prices in advance are going to be completely upended regardless of what the regulators choose and who files suit. So the questions are two: (1) What are medallion owners and livery owners legally entitled to in a protected, highly-regulated market where, in NYC, a medallion is worth more than $1MM? And far more importantly, (2) what’s best for cities and the people who live there now that new technology has arrived? Following CPUC rulings in California, apparently Uber is getting ready to roll out its own “ride-sharing” platform. It’s unclear at this point if Uber’s version will imitate Lyft and Sidecar by using unlicensed drivers to chauffer single passengers around (in which the sharing of the driver’s car would seem to be the only sharing going on), or if they’ll be coordinating sharing between passengers. See the TechCruch article above for more. In an interview with the Wall Street Journal, Hailo CEO Jay Bregman talks about e-hailing and moving into the New York market. On Uber’s own blog (and elsewhere in reference to Lyft) the California Public Utilities Commission decision is described in terms of “ride-sharing.” It’s unclear what is being shared. It seems a state of crisis is the norm for transit in New York City - see the school bus strike that’s left 113,000 New York City public school students and their parents trying to find alternative transportation. The strike is now in its second day. 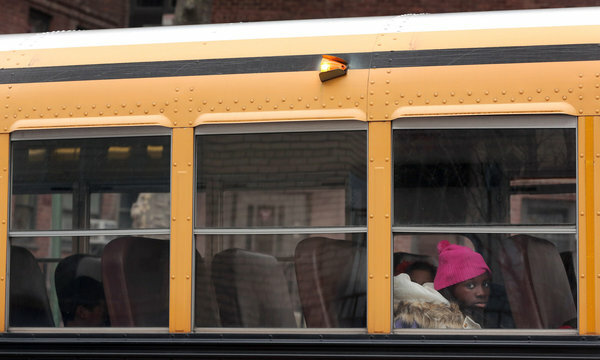 As the NY Times points out, New York City spends nearly $7,000 per student each year on school bus transportation, far more than any other school in the country. That’s the equivalent of a $20 taxi or livery car ride for each student everyday, to and from school. In the NYT travel section this past weekend, Stephanie Rosenbloom looks at set of apps and websites that offer to make travel more social. Beyond couch-surfing and Airbnb, a whole world of web-enabled travel features is unfolding. The New York City Taxi & Limo Commission is trying to get ahead of the game by releasing a policy governing hailing apps. In an industry that has until now been defined by a split between telephone-requests and street-hails, smartphones are making things pretty weird - is it a street-hail or is it a call in advance? There are only 13,000 medallions cabs in New York, the only ones who can take street-hails, and there are many tens of thousands of livery cars waiting at the edge of this guarded market. It’ll be anyone’s guess what this space looks like in a year or two. We had a nice write-up by Joshua Brustein at the New York Times Bits blog on Sunday night. Weeels received a mention alongside burgeoning industry giants Uber, SideCar, Lyft and others. While we’d dispute the line about admitting defeat - widespread taxi-sharing in NYC is still squarely in our long-term sights - it describes the focused, narrow scope at LaGuardia Airport where we’re testing our software and preconceived notions about shared transportation. Taxi-sharing from NYC to LGA/JFK for Thanksgiving! Weeels is organizing cheap trips to NYC Airports this Thanksgiving! 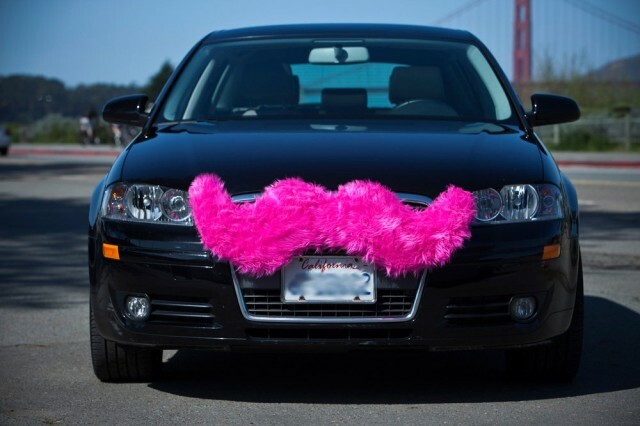 Over at Ars Technica, an article was posted last night about major fines in SF against Lyft, Sidecar, and Uber (in addition to other troubles in CA and elsewhere). A lot of legal issues are quickly coming to a head, and it’s definitely more complicated than just the Neanderthals v. the Smart Young Things that the tech world sometimes portrays it. Certainly, there are great things in vehicle transit that ought to be enabled by smart phones and new technology (and aren’t). There are also serious issues about circumventing insurance and highly-regulated fixed-price markets under the guise of new technology. The more attention these disputes get outside of the tech startup community and the esoteric taxi/municipal regulatory community, the better. The potential impact of new technology on transit is enormous, and there’s something at stake for everybody. Climate change mitigation should include taxi-sharing. Adaptation to global warming could also well include taxi-sharing. A great illustration from this week’s New Yorker by Jorge Colombo. Above are a couple of photos of the Weeels team in action, facilitating taxi-sharing on Friday, Nov. 3rd at Terminal C, LaGuardia Airport. The line manager, with the help of a Weeels-enabled iPad, coordinates sharing among passengers based on information like their destination, number of passengers and method of payment. The Weeels team took to LaGuardia Airport on Friday and Saturday to help facilitate taxi-sharing – relieving some of the stress on commuters, cab drivers and fuel supplies in the NYC area in the wake of Hurricane Sandy. As of Friday morning, with the number of yellow cabs in the city down by 25% and decreasing due to a lack of fuel, airport officials were concerned that passenger and taxi wait times at LaGuardia would be much longer than usual. Excited for some work after a long week holed-up in our apartments, we biked, drove and cab-shared to LGA to put our software to the test. Arriving Friday afternoon, we put the Weeels Line Management System into use at a couple of LaGuardia terminals where passenger demand outstripped taxi supply. The emergency test was a great success: using iPads loaded with our software, we were each able to match about 20 rides per hour, or between 40 and 60 passengers per hour, especially during peak demand times. We returned with a larger team on Saturday to find much decreased demand and a steady taxi supply despite the troubling, persistent fuel shortage in the city. After setting up a high-occupancy lane at each long taxi line, the Weeels team made a brief announcement letting passengers know about the system. For passengers with an interest in sharing a cab, the Weeels team entered their first names and destinations into the software. Whenever a match was found, those passengers were paired up and put into the next available taxi. In future versions of the system, passengers will be alerted of matches and other information via overhead displays. We got some great, enthusiastic feedback from passengers who thought taxi-sharing was a great idea and were eager to use the service. Several passengers voiced hope that the service would be regularly available. The question of how to allocate limited resources - fuel, vehicles, power, emergency response - has been a big one this last week in the Northeast following Hurricane Sandy. It’s also been a big question for the past year, and the past decade. In crowded cities, with rising fuel costs, and especially in times of crisis, how can we make the most of our limited infrastructure? We believe that smarter, more affordable transportation through taxi-sharing and ride-sharing is part of the answer, and we’re happy that New York City agencies agree.